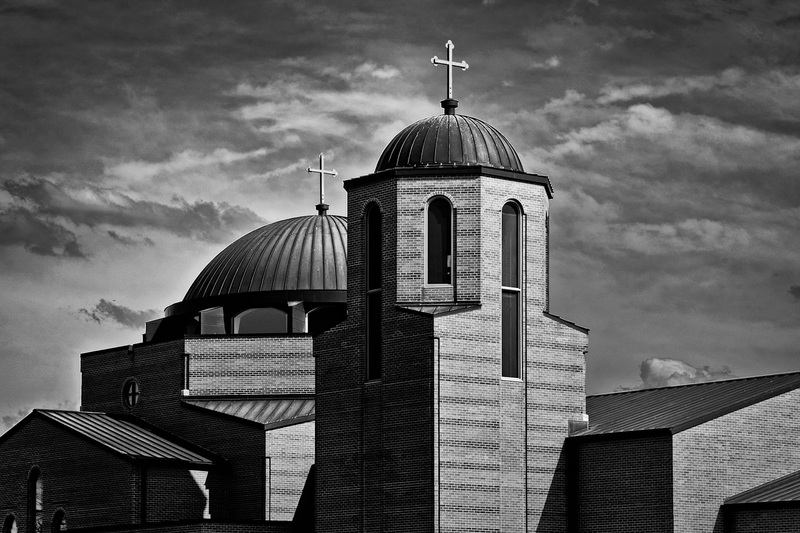 This is a shot of the St. Nicholas Greek Orthodox Church in Ann Arbor, Michigan. I drive by this church frequently, and I’ve always liked the way it looks when the sun is shining on it in the afternoon. I’m a big fan of contrast and the sharp angles of the building combined with the angle of the sun creates an interesting look. My goal in processing was to bring out the strong contrast that attracts me to this building. I deliberately darkened the dark side and brightened the brighter side to increase the contrast. I used Silver Efex Pro 2 for the black and white conversion which also helped bring out some of the elements in the sky. Lovely b/w and great dramatic sky. Nicely done! Awesome job with the b&w. 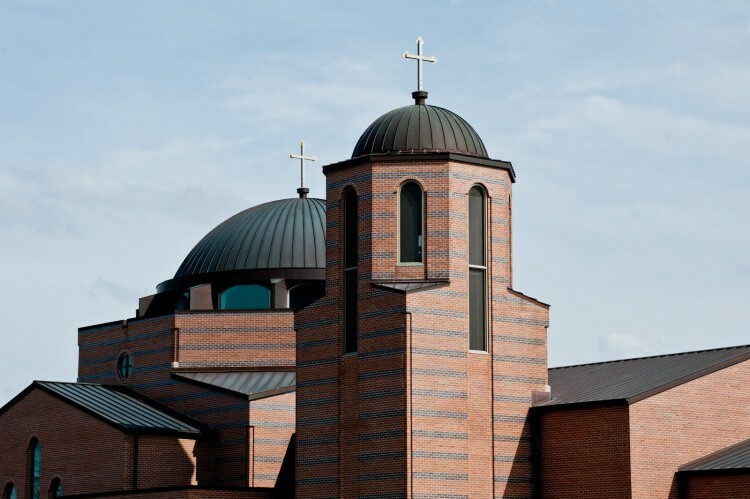 It really brings out the detail in the church. Great job on the b&w. You did an amazing job. The B&W brings out a lot of great things in this photo, including the sky. Nice processing! Great shot James – you did really well to convert this into B&W – much more interesting in my opinion! Great job.